I was asked to help create an as-built set of plans of a pre-Civil War farm house recently bought at an estate auction. Ironically, the home had been originally built and owned by ancestors of the current purchaser. To my understanding, the earlier owners were active in politics, a former district representative of the area. This information was useful to understanding the significance of the original function and possible overall design of the home and the relationship of the home to the client. The original design incorporated rooms not just to function as a family dwelling but also designed to entertain, both socially and for business. In earlier times, as today, a home can make a strong statement about one’s position in society. The home presented many unique architectural elements. Each bedroom had a fireplace. The stair system was simple but elaborate for its time. The front rooms had large tall windows that could be maneuvered to function as a door allowing easy access to the large covered front porch. Even more important, this allowed the owners to create a more efficient way to cool the house on those hot summer days. The new owners wanted to update the home to allow for a better functional and more open kitchen suite by adding a full bath, and a rear terrace. 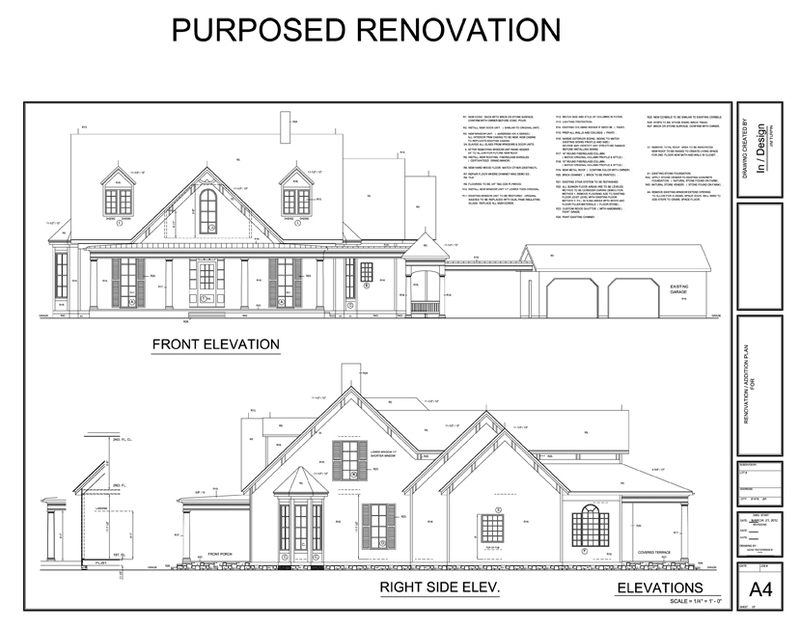 The terrace was to be covered at the new mudroom and owner’s suite entries. All windows were to be replaced with energy efficient units. The HVAC system, electrical service, and insulation needed upgrading. A new roof and exterior siding were also desired. 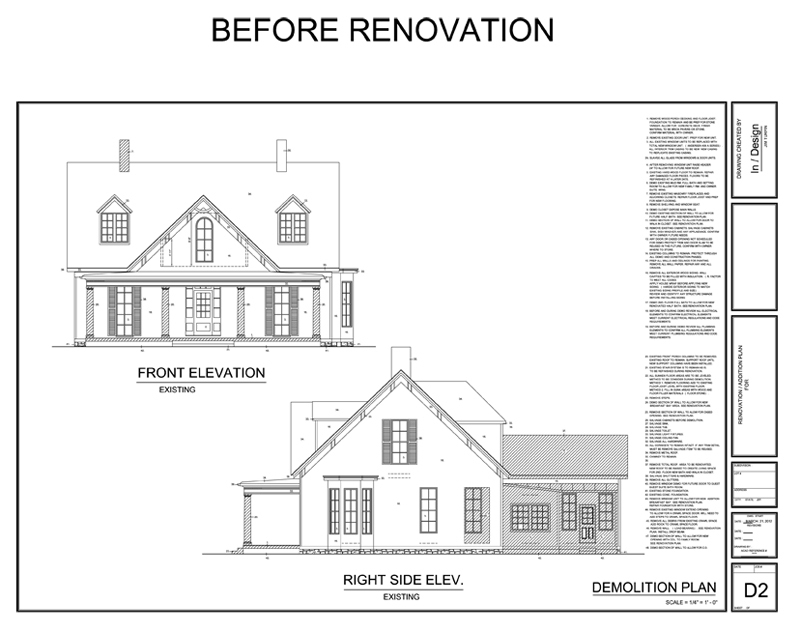 Unfortunately, the necessary and desired renovations would equal or exceed the cost of a new home of the same square footage and amenities. 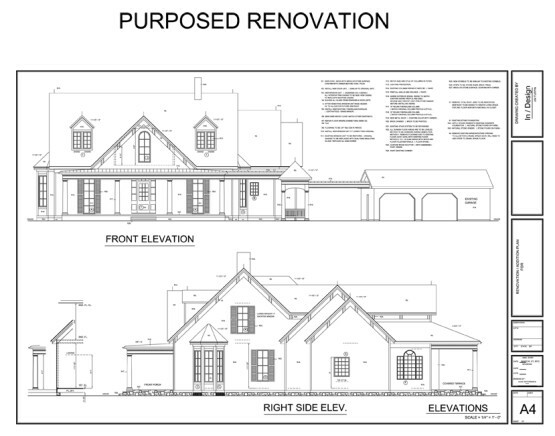 We reworked the renovation plans for a new construction project so we could replicate the old home. The end result was quite amazing while staying within an acceptable budget. Existing Structure 1st. floor = 2378 sq.ft. Existing front covered porch 501 sq.ft. Addition to Breakfast area 47 sq.ft. Additional 2nd. Floor storage = 596 sq.ft. Overall finish project was approx. 5135 sq.ft.